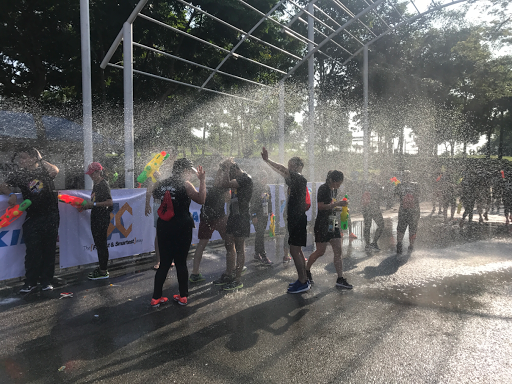 Inspired by the Water Festival in Thailand, SongkRUN 2017 is back last Sunday and this round it was held at MAEPS. 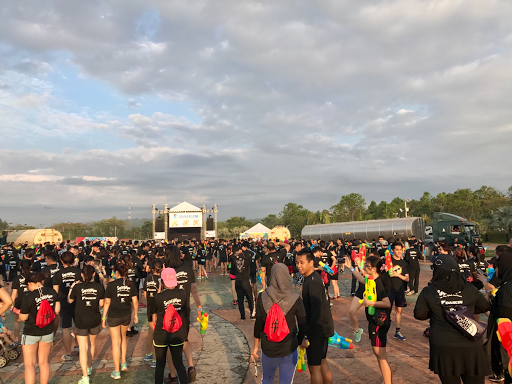 The fun run began with a warm up session with Zumba High Energy Dance has over 2000 participants turned up, all pumped up and ready for some soaking fun time. 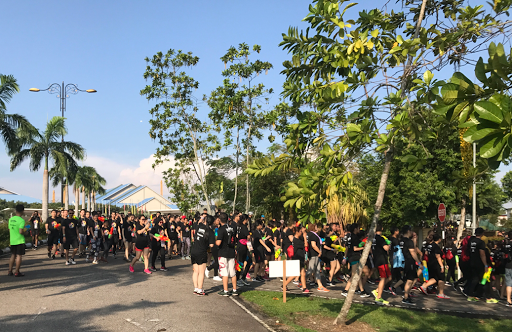 The 5km fun run was flagged off around 9.30am. 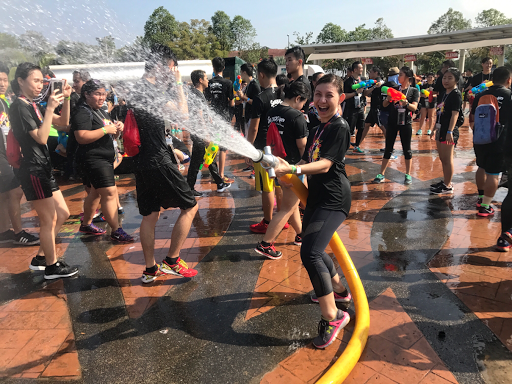 Apart from getting squirted by water gun, the course also features sniper zones equipped with fire hoses to make sure all runners get drenched. OMG... 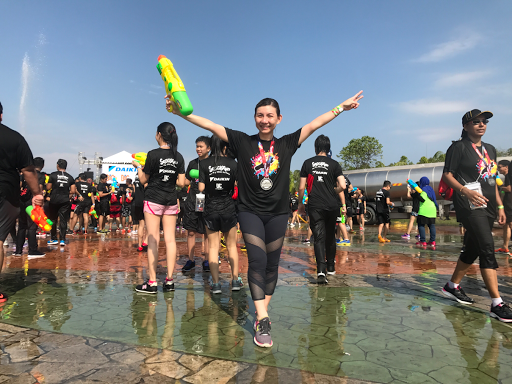 I was totally drenched at the first pit stop. 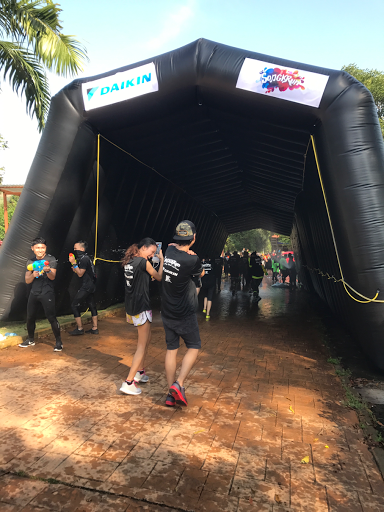 Towards the end of the run, we are greeted by this huge icy cold mist tunnel to cool us down. 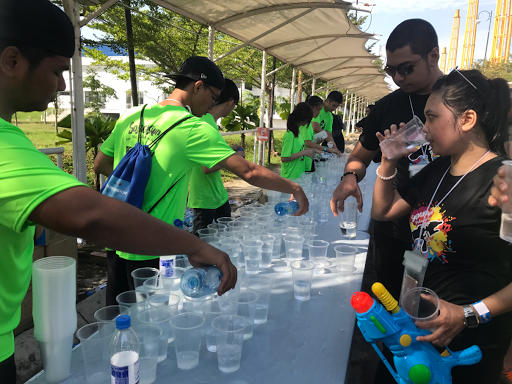 The one and only water station, which are stationed towards the end of the route. The party finishes with awesome live performances by well-known musicians and DJs such as ANRK, Chukiess & Whackboi and many more. Awesome morning getting drenched with my babe. 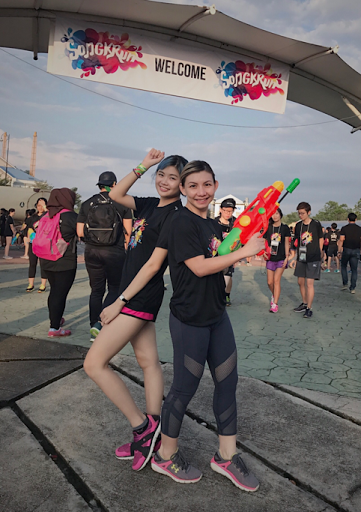 We had so much fun and really enjoyed ourselves. Overall, the event was well organised, only downside was the slight delayed flag off time and lack of water station. 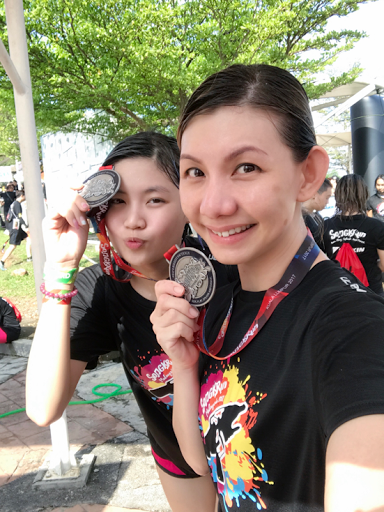 For more information, kindly log on to www.facebook.com/songkrun.